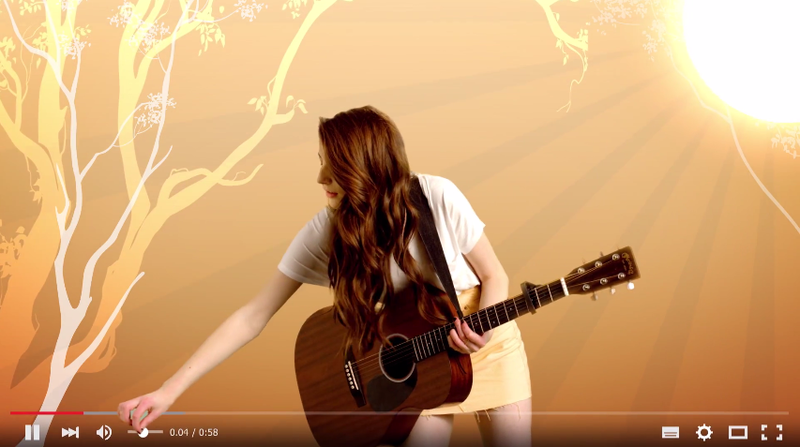 Country-pop’s newest star Catherine McGrath has today released the video for her brand new single ‘When I’m Older’. The track came out last Friday and went straight onto Spotify’s ‘New Music Friday’ playlist and Apple Music’s ‘Best Of The Week’ list. It’s the second instalment from her upcoming EP, Starting From Now, which will be released via Warner Bros. Records on June 9th. Utilising innovative online technology this short video sees Catherine reaching out of her YouTube screen, showcasing fun animations with her lyrics featuring as rolling comments, reflecting Catherine’s own interaction with her fans across social media. ‘When I’m Older’ is country-inspired, feel-good pop song that spreads the message to live life to the full, make mistakes and create memories that you’ll never forget. It follows the first track from the new EP, ‘Starting From Now’, which saw her crowned as Apple Music’s ‘Artist of The Week’ and comes with a special Instagram video which you can watch HERE. Catherine has been making her mark live with a whole raft of gigs this year. She will be supporting Kelsea Ballerini at London’s Under The Bridge on May 11th, The Saturdays’ Una Healy on May 14th at London’s Bush Hall and heading off on a UK & Ireland tour with Irish indie-rock trio Picture This throughout May and June, including a date at London’s Electric Ballroom on May 18th. You can also catch her at various festivals this summer, including The Great Escape, Cornbury Festival, Truck Festival, Wilderness Festival, Kendall Calling, Standon Calling and a slot at this year’s British Summer Time, Hyde Park on July 9th with Tom Petty & The Heartbreakers and Stevie Nicks. For more insight into Catherine’s remarkable journey so far, you can watch her new mini documentary ‘Going Home’ HERE.